A Philippine tarsier. Credit: David Haring. Imagine that you live in the rainforests of Southeast Asia, you're a pint-sized primate with enormous eyes that are roughly the same size as your brain, and you look a little like Gizmo from the movie, "Gremlins". You're a tarsier— a nocturnal animal whose giant eyes provide you with exceptional visual sensitivity, enabling a predatory advantage. 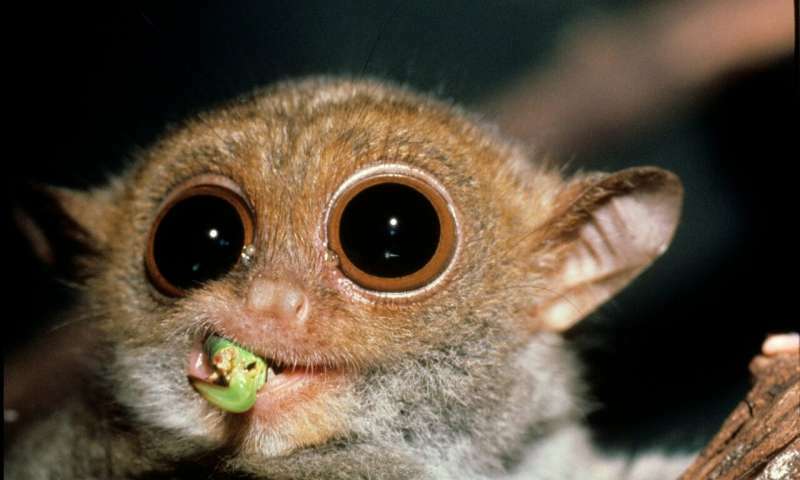 A new virtual reality software, Tarsier Goggles, developed at Dartmouth College, simulates a tarsier's vision and illustrates the adaptive advantage of this animal's oversized eyes. Both the virtual reality build and the team's findings published recently in Evolution: Education and Outreach are available for free online. 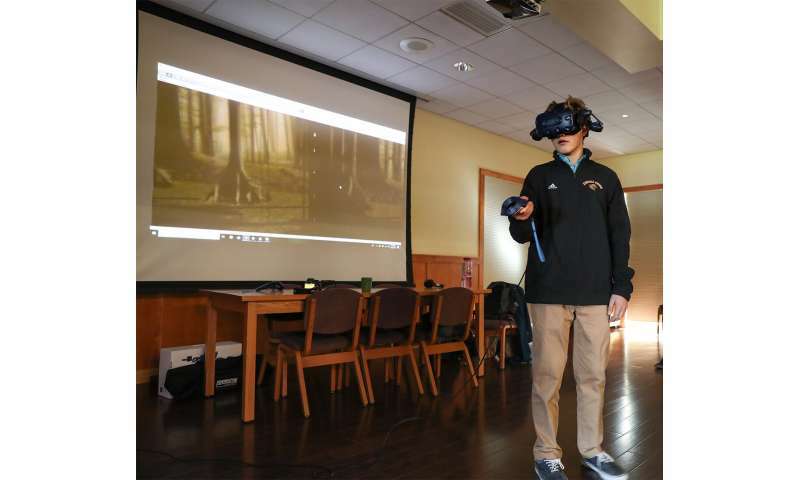 The open-access software, Tarsier Goggles, features three virtual learning environments— "Matrix," "Labyrinth" and "Bornean Rainforest," which simulate how a tarsier's vision is different from a human's in terms of acuity, color vision and brightness. Bornean tarsiers have protanopia, a form of red-green colorblindness. In the virtual Bornean Rainforest, users can move through the forest, leaping and clinging to trees in "a dark, maze-like space that is practically opaque under human visual conditions but navigable as a tarsier, demonstrating the advantages of tarsier visual sensitivity," as described by the authors. A student-user experiences Tarsier Goggles during formal assessment. The student stands in front of a projection of the internal experience for classmates to view. Credit: Dustin Meltzer, Kimball Union Academy.